Eleven schools played in the BDSSA Rounders Tournament, held at Feniscliffe Playing Fields in June. The tournament was played in two groups on a round-robin basis, with the top two teams going through to the semi-finals. Westholme sailed through their first match, reaching the semi finals to play the winners from the other group – Witton Park. With a win in the semi-finals under their belts, Westholme played DACA in the finals, where, unfortunately the Westholme team were defeated by 6 ½ rounders to 3 ½ . Congratulations to the team on their well-fought tournament, making them BDSSA Rounders Runners-Up 2013. 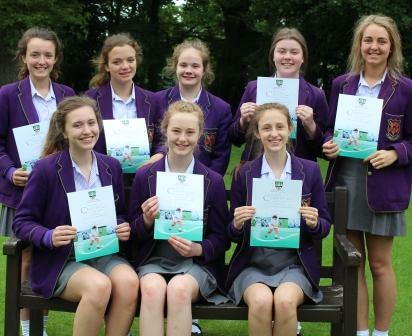 Certificates were awarded to Charlotte Booth (captain), Emily Winter, Claudia Keogh, Alice Taylor, Natasha Mols, Megan Holland, Annabel Steele, Salonee Shah and Katie Greenall.